A passion for Craft, a thirst for Beer. 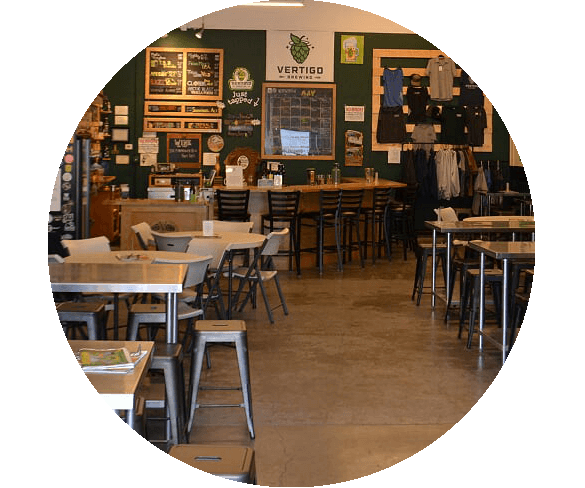 Brewing innovative and creative craft beer since 2008, Vertigo Brewing has become a staple in the extended Portland Metropolitan area. From NW style IPA’s to award-winning fruit beer and barrel-aged seasonals, we strive to bring quality and consistency to all of our products. 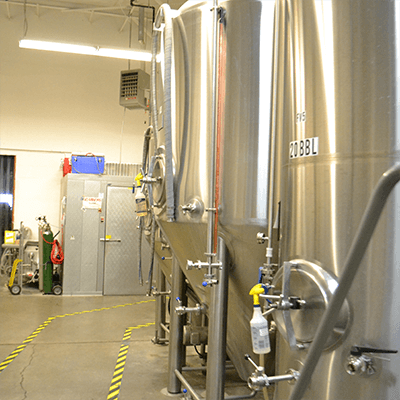 Continually motivated by the accomplished and talented brewers and craft beer enthusiast here in the Pacific NW, we are inspired to become the best we can be. 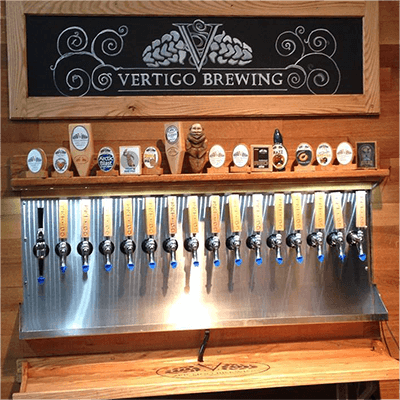 The Vertigo Taproom, opened Spring 2012, features a rotation of our standard and seasonal offerings. We have water, soda, and juice for friends that are driving or just do not drink alcoholic beverages. 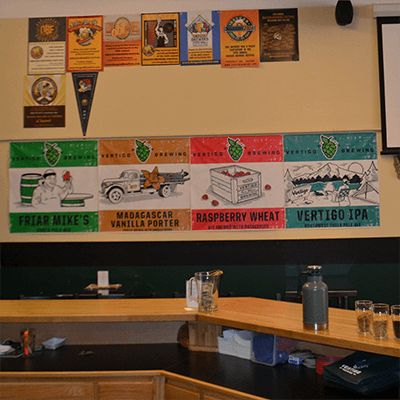 Our taproom staff has various events planned throughout the month and while we do our best to update this website, you can like our facebook page and also get the latest information. Subject to seasonal availability, our regular taps include the T.B.D. Blonde, Razz Wheat, Madagascar Vanilla Porter (AKA Arctic Blast), Smokestack Red, Friar Mike’s IPA, Vertigo IPA (AKA Uno Mas), Schwindel Alt and Friar Gone Wild Imperial IPA. While we don’t serve food at the taproom, you’re welcome to BYOF and enjoy yourself. We have Food Truck Friday most Fridays, check us out on Facebook for updates. Bring friends or family (21+) and enjoy the casual comfort of Hillsboro.